A few weeks ago I saw David Sedaris read at the Vogue Theatre here in Vancouver and after he read for a bit he took questions from the audience and someone asked him to recommend something that he’d read recently and he recommended two books, Eileen by Ottessa Moshfegh and Less by Andrew Sean Greer. I haven’t gotten around to Eileen yet but I finally got around to Less and it was fine like 3.75/5 fine but I was probably expecting more from a Sedaris recommendation and Pulitzer winner. Less tells the story of Arthur Less, a writer who has a bit of a life-crisis as he turns 50 and takes on a trip around the world. Less is a likeable character. Well, pitiable. But for all his assumed misfortune I couldn’t help but think that he’s having a pretty good run of things. I kept expecting something spectacularly terrible to happen to him. The book is good but it’s just not really great. I couple weeks ago I got to test the new On Running Cloudace for its launch and longest day, around-the-world relay run. 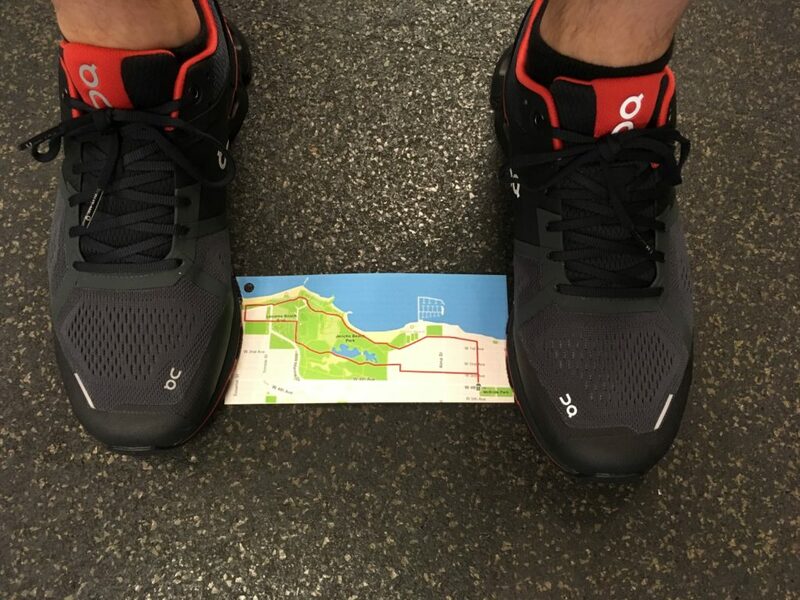 The gimmick was the shoes would launch with a run at locations around the world on June 21, the longest day of the year. Each leg of the relay started at the same time in its own timezone, hence the relay across timezones. I’m explaining it poorly. Regardless, the second last timezone was Vancouver, and Forerunners on West 4th hosted the launch with a 5 KM loop. The Cloudace are their new long distance runners. They look very nice, but when I put them on it felt like I was lacing bricks to my feet. At 335 grams they are so much heavier than I’m used to. They have nice cushion and support, but I couldn’t get past the weight. I’m pretty staunchly on team Adidas since my first pair of Bostons. At 244 grams they’ve been my go to shoe. I currently have three pairs on the go. My option two are the Adios, which I train in sometimes and race in always. They’re just 226 grams. I want to like On shoes. I have a pair of On Cloud for walking around Scandinavia and the Baltics this spring, and I really like them. They’re just 230 grams, slip on like a sock, and have great bounce. I’ve run in them a couple times, but I wouldn’t for farther than 10 KM. I want a Cloud that can take me 42 KM. They do not exist, yet, so I’ll stick with my Adios. 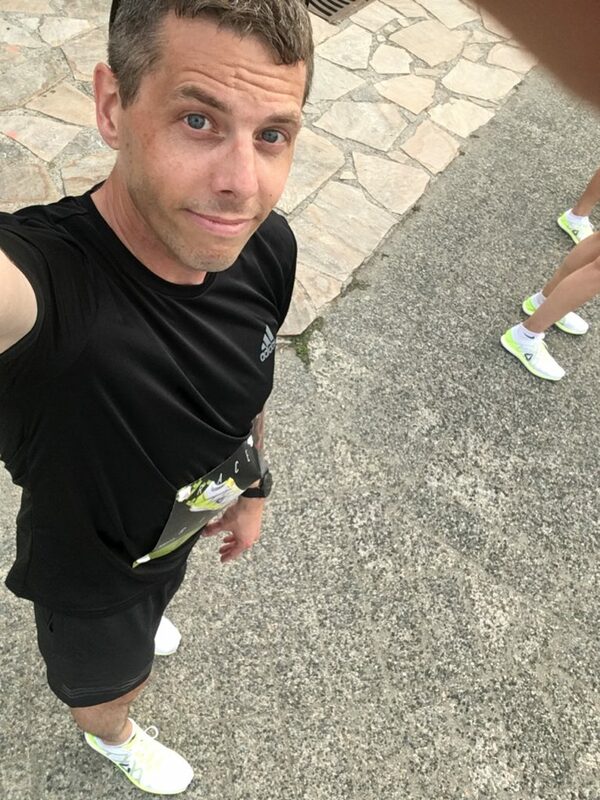 And then this past week I got to take for a test run currently the lightest shoes in existence, the Reebok FloatRide Run Fast Pro at their Western Canada launch hosted by Vancouver Running Co. (the exclusive dealer). As you may have noticed weight is something that I seem to care about. These racing flats come in at just 99 grams. Which begs the question, perhaps, when does weight stop mattering? The answer, for me at least, is somewhere around 230 grams. I ran down to VRC for the test run in a pair of my Adidas Adios to try to really feel the difference. The Run Fast Pro didn’t feel especially lighter, nor did the Adios feel especially heavier when it came time to run back home. But the upper was a huge difference. I like Adidas (and many don’t) because they are a narrow, tight fit. The Run Fast Pro’s upper is narrow and tight but is ridiculously thin and has a bit more give than Adidas. It feels amazing. I was really impressed with these shoes. But they’re not going to take me 42 KM. Sure, Nicole DiMercurio placed 6th in Boston this year wearing these, but I’m not running a 2:45 marathon anytime soon/ever. 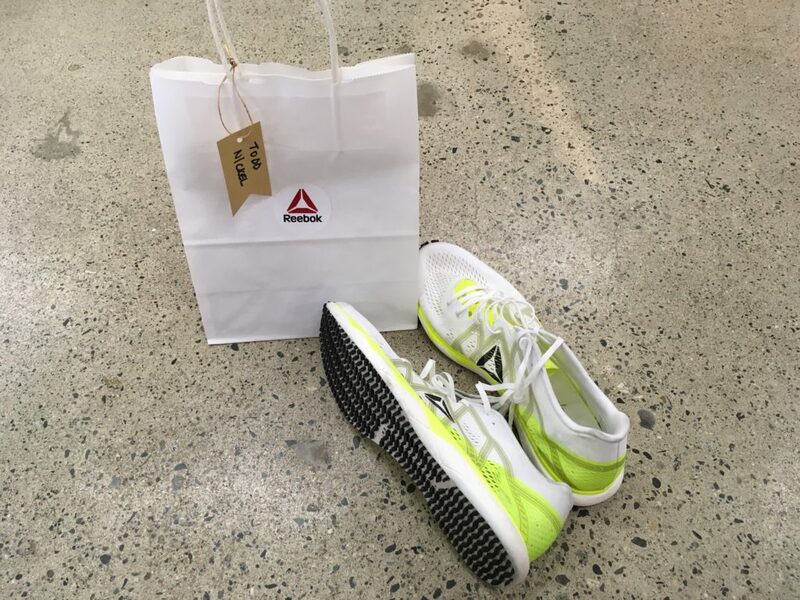 The Reebok rep on hand suggested 5 to 10 KM races for these. I’m curious how they’d do chasing a sub 90 Half. But at $300 I do not expect to find out. What I am the most curious to see is how Adidas responds. If they bother to. I hope they do.